. . . . the mercantilist [French] minister Colbert encouraged a systematic policy of consigning offenders to the galleys. Magistrates, he believed, were wasting vital manpower through an overuse of capital punishment. Galley servitude . . . was only one alternative to which various leaders resorted in the search for more intelligent penal policies. A development of particular significance was the evolution of the workhouse, an institution originally designed for the poor which became in time a type of correctional facility in which beggars, paupers, vagabonds, petty offenders, and even a number of actual felons labored at assigned tasks under close supervision. The Calvinist emphasis upon work as both a duty and a morally beneficial activity provided an additional stimulus for the widespread adoption of the workhouse idea. . . .
For both practical and theoretical reasons, therefore, workhouses spread rapidly after the mid-sixteenth century, when England began using the London Bridewell as a place of detention for paupers. . . .
Sketches of NYC's Bridewell, above and below, do not appear in From Newgate to Dannemora but do appear elsewhere on this web site. The one above appears in the NYCHS presentation Penitentiary Origins in the City of New York. The one below appears in NYCHS' New York Correction Timeline I next to the year 1775 when building Bridewell in City Hall park was begun. Each Bridewell image is linked to its NYCHS web page. Click for more related information. 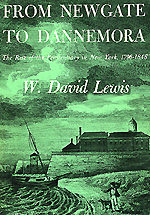 In view of later industrial developments in American prisons, it is particularly interesting to note that many workhouses quickly came to be managed for profit . . . .
Like the prison workshops later to be established in such states as New York, the industrial departments of European workhouses speedily aroused the anger of free craftsmen, who tried to secure legal action against what they regarded as unfair competition.
. . . the famous Maison de Force, founded at Ghent in 1772 as a place of correction for offenders, mendicants, vagrants, and the like, was an outgrowth of the workhouse idea . . . it had a regime of solitary confinement at night and congregate labor by day which was similar to the system later imposed upon convicts at Auburn prison. Early prison reformers in America, including those in New York, were familiar with the workhouse idea and aware of the types of discipline practiced at various European institutions. It is likely that knowledge of these establishments was carried to New Amsterdam by the first Dutch settlers . . . . 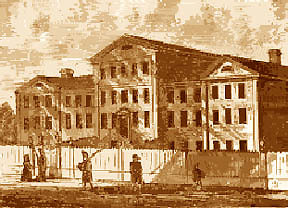 Even though England did not utilize such institutions for the treatment of criminals to the extent that this was done on the Continent, the British did develop county houses of correction modeled upon the London Bridewell. . . .
By 1735, New York City had a workhouse where disobedient slaves and servants were sent for punishment, various types of vagrants and runaways were forced to labor, and paupers were given alms in addition to employment in spinning or farming. 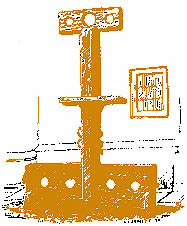 The sketch above of an all-in-one punishment device -- pillory, whipping post, and stocks -- does not appear in From Newgate to Dannemora but does appear on this web site in a NYCHS excerpts presentation of On the Penitentiary System in the U.S. and Its Application in France by Gustave de Beaumont & Alexis de Tocqueville. Clicking image accesses that page. Later in the century John Howard supplied detailed information on European workhouses to American readers in his writings on prison reform. . . . Punishments in America were not usually as brutal or as frequently inflicted as those which prevailed in many areas of Europe, but were nevertheless copied from Old World practices. In colonial New York, for example, the jail was chiefly a place for debtors or for those awaiting trial. For over a century after the founding of New Amsterdam there was not even a separate prison building on Manhattan Island. If jail sentences were imposed, they usually supplemented other punishments or lasted but a short time. Under the code of laws introduced after the conquest of the colony by the Duke of York, eleven offenses were made capital, a number which had increased to sixteen by the late eighteenth century. Public whipping, pillorying, banishment, branding, stocking, and carting (tying a culprit to the tail of a wagon and dragging him ignominiously through the streets) were among the punishments imposed by the magistrates. Flogging was frequently employed, with judges sentencing offenders to as few as five or as many as one hundred and fifty lashes . . . .
. . . a chronic shortage of labor . . . made the wisdom of frequent executions or disabling penalties somewhat dubious. . . . Statistics on the incidence of capital inflictions, moreover, are distorted by the atypically large number of cases which occurred in such times of public hysteria as accompanied the attempted slave insurrection of 1741-1742. . . The Sir William Blackstone profile image above does not appear in From Newgate to Dannemora. It appears on the Architect of the Capitol web site in the section devoted to 23 marble relief portraits over the gallery doors of the House of Representatives Chamber depicting historical figures noted for their work in establishing the principles that underlie American law. Click image for more. Broadly speaking, [18th Century penal] reformers can be divided into two main groups. One of these, representing the outlook of the Enlightenment, wanted above all else to make criminal law rational, to strip it of metaphysical concepts and purge it of superstition. The second group, inspired to a large degree by religious convictions, saw the offender as a child of God who should be treated with compassion and love. Both points of view were influenced by the growth of toleration and humanitarianism in the eighteenth century, but they formed a somewhat unstable combination. Prison reformers with pronounced religious ideas, John Howard among them, were apt to be hostile toward such rationalists as Voltaire. Christians who held that man sinned out of free moral choice and was accountable to God for his misdoings had reason to disapprove when French philosophers questioned the existence of free will. On the other hand, such rationalists as Jeremy Bentham were critical of those whose sentiments and emotions governed their outlook on penal affairs. Thus the eighteenth century handed down a mixed legacy to future generations of prison reformers. . . . In calling attention to serious evils and abuses, and in setting up standards by which the desirability of various new penal methods could be gauged, rationalists played an indispensable role in helping to pave the way for modern prison reform. . . rejecting all expiatory theories of punishment and in espousing clearly definable goals of reformation, deterrence, and the security of society. . . .
Rationalist ideas on penal policy were carried to an extreme by such writers as the English radical Wilhiam Godwin. Denying the existence of free will, Godwin argued that punishment was an anomaly because the whole concept of culpability was false . . . . rationalists did not quickly seize upon imprisonment as a satisfactory correctional method . 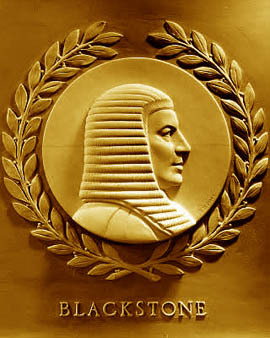 . .
That such men as Blackstone, Eden, and Bentham ultimately accepted imprisonment as a standard penal technique was chiefly due to the work of certain English reformers, most of them activated by religious motives, who not only exposed miserable jail conditions but also tried to prove that a prison did not have to exemplify everything that was loathsome and terrible.